This closure starts the day after the road between Alport and the A6 is planned to reopen. You can find details of all local road closures on the Elton website. 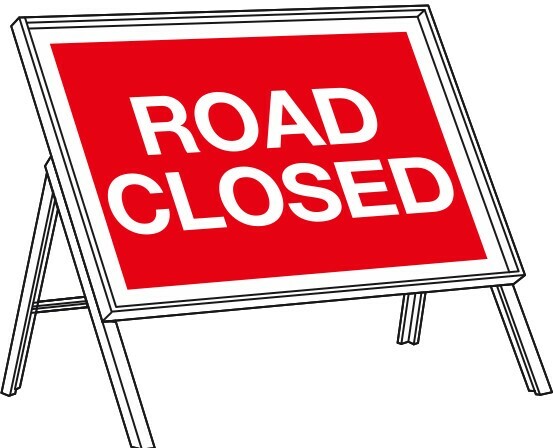 Please note, road closures are the responsibility of Derbyshire County Council – not the Parish or District Council. I am passing this on for information only. If you have any questions about the road closure, please contact County Hall on 01629 533190. WHERE: Close the B5057 Main Road, Darley Bridge from its junction with Oldfield Lane to its junction with Wenslees. REASON: To facilitate gas main renewal works. Towards the end of 2016, the District Council carried out a public consultation asking Derbyshire Dale residents for their views on proposals to introduce charges for replacement refuse bins and containers. Through the village email, website and parish council meetings, I encouraged local residents to take part in the survey and asked you to tell me what you thought about the plans. I received 36 responses with only 2 being in favour of charging for replacement bins. I want to thank everybody who took the time to get in touch and share their views. At a committee meeting in January 2017, councillors voted in favour of introducing the new charges. This was despite most of the consultation responses being against the proposals. I voted and spoke out strongly against the plans. I felt that this was yet another charge that will affect every household, in most cases the damage or loss of bins is due to neglect by refuse crews and I felt it was unfair to take away the free supply of black sacks to those properties unable to accommodate a wheelie bin. Furthermore, I felt I should represent the views of my constituents who were overwhelmingly against the idea. The new charges are laid out below. Food caddy liners sold by the District Council be reduced from £2.50 to £2.00 per roll. The annual supply of 52 black refuse sacks will stop from 1 April 2018 and that residents be advised to purchase their own black sacks from any retail outlet. No charges will be introduced for replacement blue bins, boxes or bags. Also there will be no charge for replacement kerbside food caddies, the annual supply of 52 food waste liners and 44 garden waste bags. All will be reviewed again in the future. If you have any comments or questions about the above, please get in touch with me. Most of the crimes happened Darley Dale area and one van broken into in Winster. The trend is still parked up vans been broken into for tools and money. It is advised that is to take all tools out of the vehicle when the vehicle is left overnight or unattended for long periods of time. Where possible, park your van in view of your house and try to block access to side and rear doors. We are also offering an alarm to put in vans. Email me for details. For non-emergencies, contact Derbyshire Police on 101. 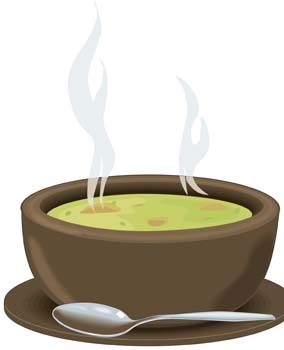 Elton Church will be holding a ‘Soup on Sunday’ event to raise funds for ongoing improvements to church. A range of soups and cakes will be on offer, along with tea, coffee and squash. We hope you will come along and support the church. WHERE: Close Kirby Lane, Darley Bridge from its junction with the B5057 Eversleigh Rise to its junction with Oker Road. REASON: To facilitate water main renewal works. ALTERNATIVE ROUTE: Oker Road – B5057 Eversleigh Rise and Vice Versa. WHERE: Close Main Road, Wensley from a point 50 metres west of The Square for a distance of 100 metres in a westerly direction. REASON: To facilitate new gas connection works. ALTERNATIVE ROUTE: B5057 (from point of closure) – A6 via Matlock / Matlock Bath / Cromford – A5012 to Grangemill – B5056 – B5057 via Winster (to point of closure) and Vice Versa. WHERE: For local people who know this area well, it is just off of Hawley’s Bridge (the junction from Harthill Hall to the B5056) to Picory Corner (the junction from the B5056 to the A6). Access to Youlgrave from Hawley’s Bridge should be maintained during the road closure period. If you have travelled to along this road in the past month or so you will already have encountered traffic lights. REASON: to carry out urgent repairs to the retaining wall. ALTERNATIVE ROUTE: Along the B5056 from the point of closure, down the A5012 Via Gellia and along the A6 (and vice versa). This will be a 24hour a day closure and the road will be completely closed to vehicles, cyclists and pedestrians, as there will be deep excavations in order to facilitate the repairs. Emergency vehicular access will be maintained where possible. If you have any comments or questions regarding these closures, please contact the Highways Department at Derbyshire County Council on 01629 533190. These details have been provided by Derbyshire County Council and are subject to change or extension. We will do what we can to update you should there be any amendments to these orders.